When you want to manage servers remotely, it's recommended that you link them to an Active Directory to make it easier to set up WinRM (Windows Remote Management), as well as authentication on the remote server. However, if you want to remotely manage a server present in a workgroup, this is also possible thanks to a few small manipulations. In order for WinRM activation (and thus for Windows Server remote administration) to be possible, you must first ensure that your servers are configured to use the "private" network type (formerly : home). Note : this problem only occurs when you use servers in a workgroup. Indeed, once joined to an Active Directory, the type of network automatically changes to "domain". Which is supported by WinRM. To change the network type by using the command line, you can use powershell. In our case, this command tells us that our Core server is currently using the "Public" network type. Now, the network type is : Private. On your Core server, start by enabling remote administration of it from the "sconfig" tool (if you have not done so already). Enable the remote management via PowerShell using the command below. Note : answer "Y" to all questions. 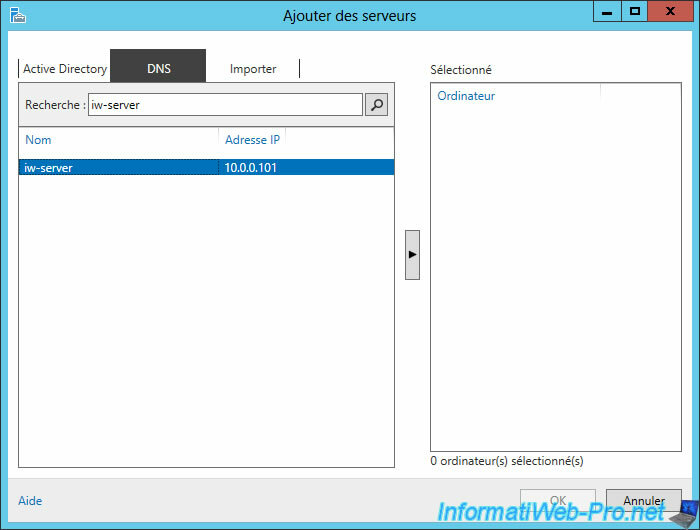 Add the IP address of the client PC to hosts that are allowed to remotely connect to this server. On the server used as "client", open a PowerShell console as an administrator and use these commands by replacing "iw-server" by the name of the server you want to manage remotely. 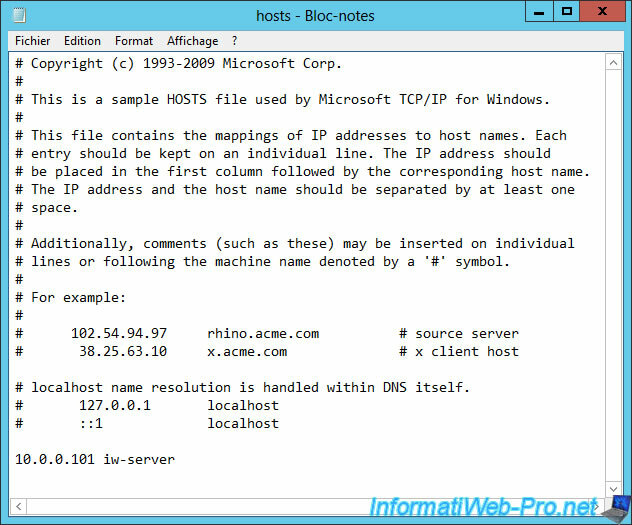 Enable the remote management of Windows Server through PowerShell. Enable the support for CredSSP authentication. Store login credentials of the remote server using the command below. Note : this command will ask you for the password corresponding to the user indicated in parameter (user). To be able to add your Core server in the server manager, it's first necessary that your server can know the IP address corresponding to the name of your server. Since we will not use an Active Directory server in this case, we will assume that you don't have a DNS server on your network either. In our case, we will use the 2nd possibility. 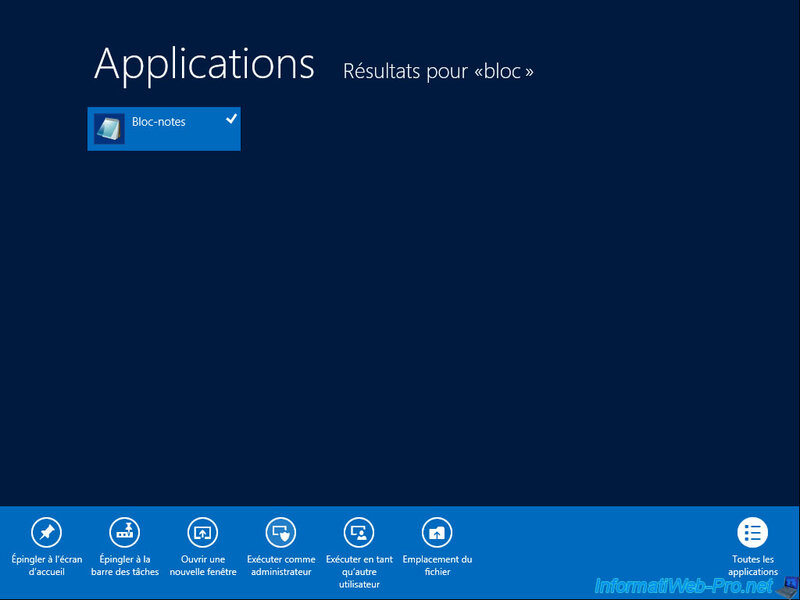 Since the Windows "hosts" file is a system file, you will need to open it as an administrator to edit it. On the Home screen, type "notepad" and then right-click "Run as Administrator" on the "Notepad" program. Note that you will need to select the "All Files" option in the "Open" window of Notepad for the file to appear. In this file, add a line with : the IP address followed by the NETBIOS name of the remote server, separated by a space. 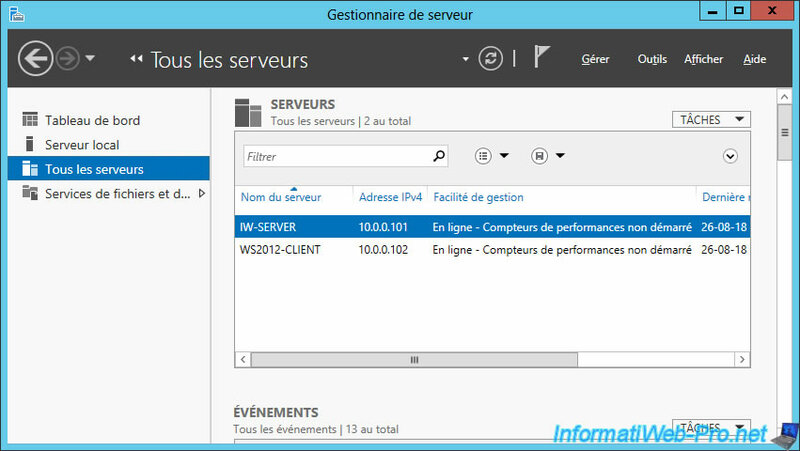 Open the server manager on the server used as "client" and click "Add other servers to manage". In the DNS tab, enter the NETBIOS name of the remote server (the Core server in our case) and click on the magnifying glass icon. 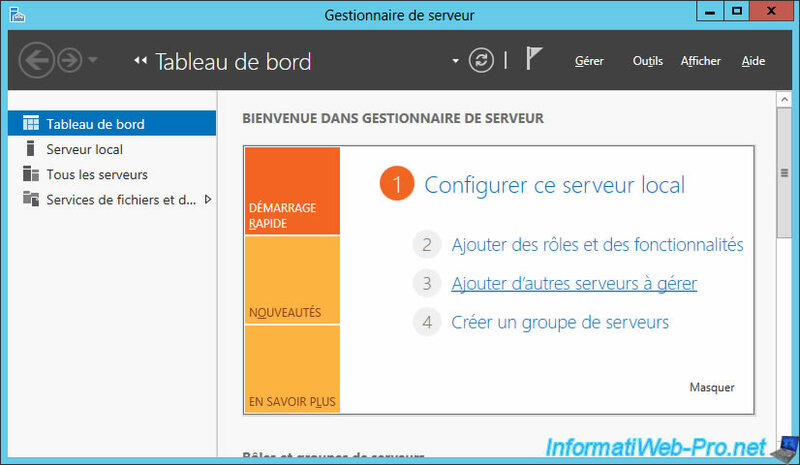 Then, select your server on the left and click on the arrow in the middle of the window. If all goes well, your server will appear "Online" in the "All Servers" section of the server manager.